A while back, I bought this 50-movie set, Sci-Fi Invasion, for five bucks. That adds up to ten cents per movie. 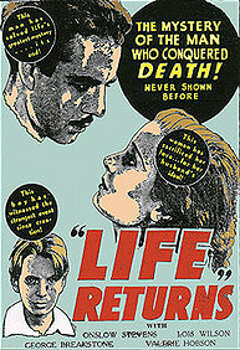 This movie, Life Returns, was made in 1934. 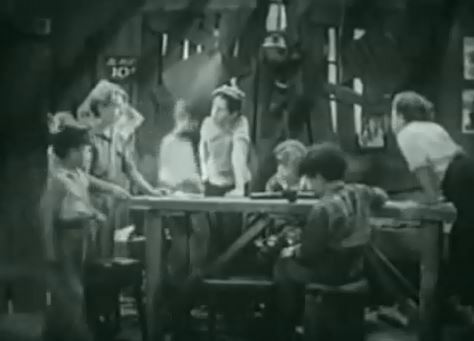 A disclaimer at the beginning of the film states that it contains real footage of a scientific experiment in which a dead animal was, in fact, brought back to life. This should be… interesting. Here’s what happens: It’s the story of Dr. John Kendrick, a scientist fresh with a singular goal to prove that bringing the dead back to life is possible. Everyone wants him to use his genius for practical applications, but he just won’t give up on his dream. He’s then separated from his son due to his crazy talk about death, and there’s a ton of father/son melodrama. Speculative spectacle: Eventually, it all leads to the big scene, incredibly creepy real-life footage in which doctors attempt to bring a dog back from the dead, after it had been gassed at the pound. This is not a scene for animal lovers. Sleaze factor: A headline reads, “Well-known scientist to wed socialite.” Tabloid scandal! Microcosmic minutiae: Kendrick is a fictional character. The real dude was Dr. Robert E. Cornish. 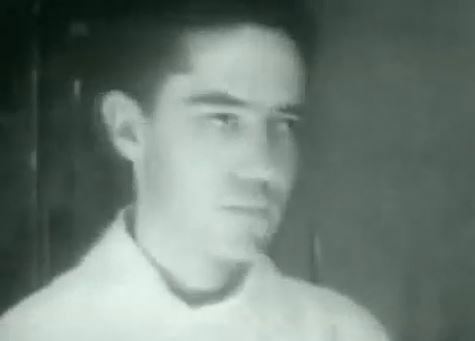 The real-life surgery footage was recorded on May 22, 1934, in Berkeley, Calif. Somehow, the footage got into the hands of these filmmakers, and there we go. Worth ten cents? Yeah, let’s take some incredibly creepy footage of guys experimenting on a dead dog, and build a heartwarming father/son drama around it. Only in Hollywood, I guess.